Since its formation over 30 years ago, Gamelan Kusuma Laras has entranced American and Indonesian audiences with its mesmerizing renditions of traditional Javanese performances on instruments created for the Indonesian Pavilion at the 1964-5 World’s Fair. 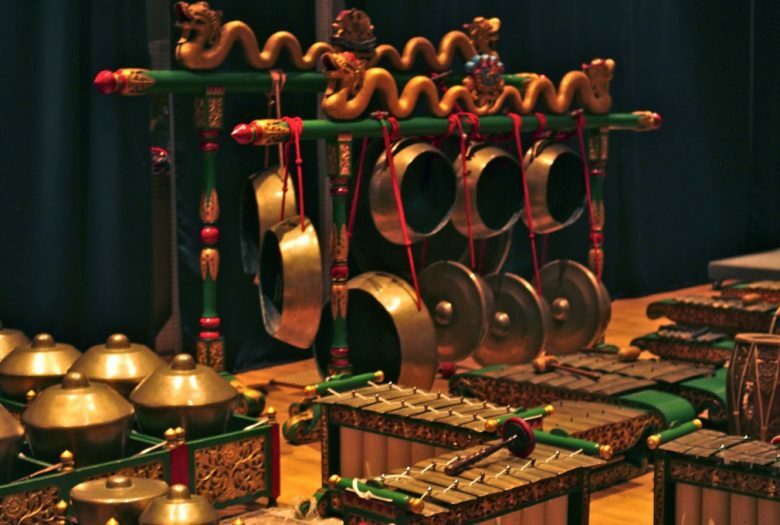 This NYC-based classical Javanese gamelan orchestra, comprised of American and Indonesians, is under the direction of the renowned I. M. Harjito. In this program, they will be joined by several special guests: Darsono Hadiraharjo, the best young Javanese gamelan player of his generation; master musician Midiyanto; leading young Javanese singer Heni Savitri; and Anang Totok Dwiantoro, a graduate of Indonesia’s STSI conservatory in Surakarta, who is known for his mastery of the strong male style of Central Javanese court dance.